A crafted solid wooden traditional shaped coffin wrapped in natural wool textiles. 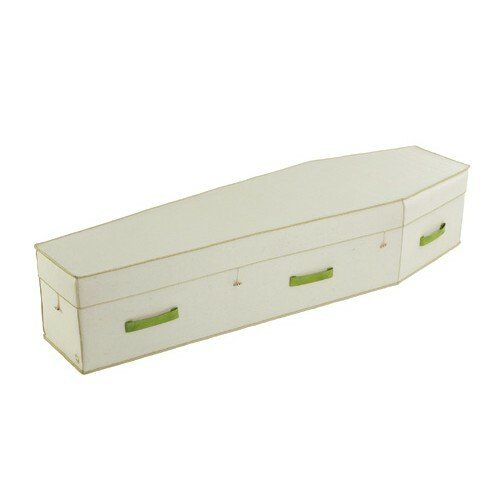 This hand-made coffin is free of polish or chemical lacquers and fits in well with our earth friendly products. The calico frilled interior is of a very high standard and also comes with padded base and matching pillow. We can also provide a matching natural wool wrapped urn.